Hi marcelproust, you mentioned that I uploaded the beginning of #14 and the end of #15, but the records are not properly indexed. For some reason, Sejny tends to have multiple indexes going that are completely out of order (up to four different indexes mixed with each other). I'm uploading the full images, so you can see that #14 (Szymon Gryszkiewicz) is followed by #16 without any #15 between. You can see that #14 is preceded by #21, which doesn't make much sense. Yet, the page numbers themselves are in order (80, 81, 82, 83, etc). Thanks. 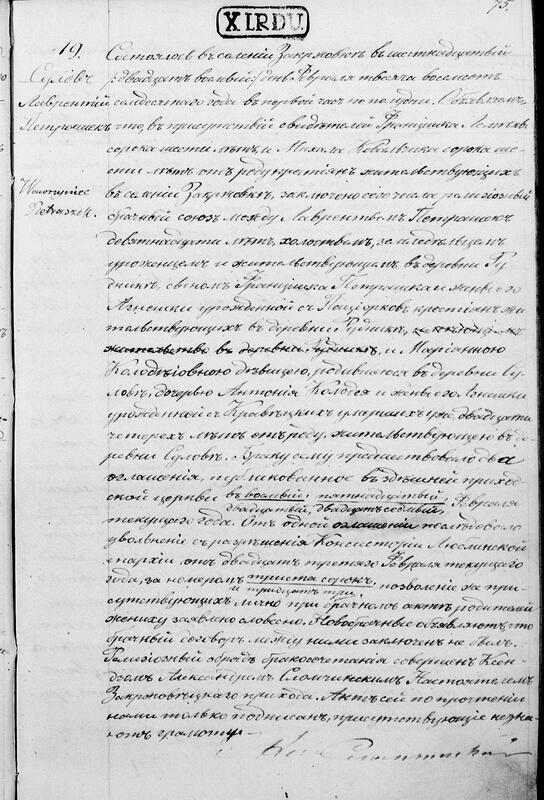 Could someone please translate this entry for a marriage record. 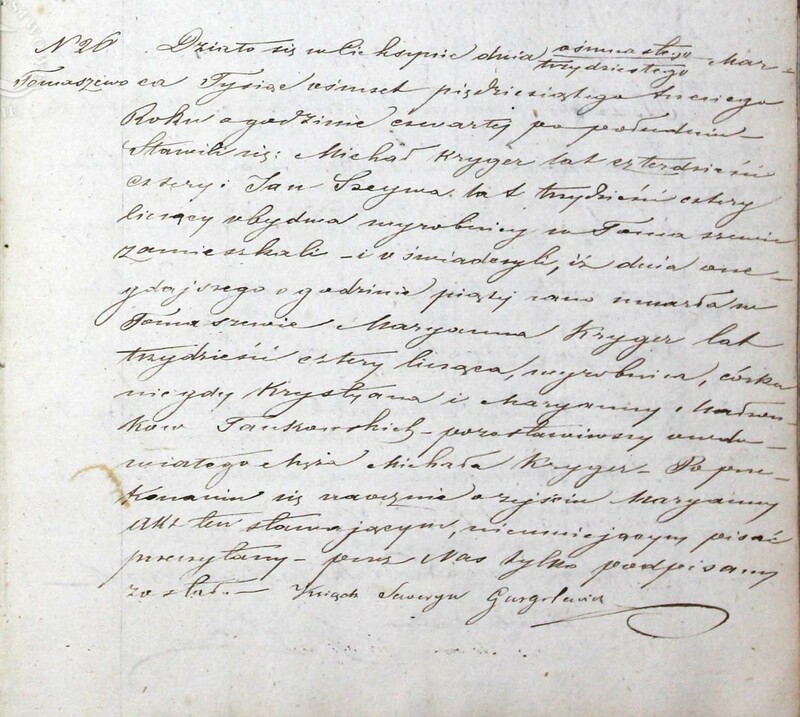 Could someone translate this marriage record for Pietraszek/Kolodziej, I do have the link if the copy is not adequate. Thanks, I will repost it. I would greatly appreciate it if someone could translate the marriage record of my Great, Great Grand parents. Thank you! i think i know why these numbers are not in order. its because its not the act number. this numbers show the parish population divided to: jews, peasants, city residents and noblemans. 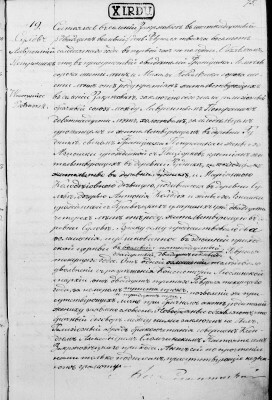 Agata Mularska, a miss, 24 years old according to a baptism certificate from Sejny church baptism book from 30th day of January 1789, living in her family house with parents, in the presence of her father Stefan Mularski, farmer living in the village Reszecie and her mother Marianna nee Liszkowska. of the current year both at noon. We were not informed of any marriage obstacles. Newlyweds in Our presence made the Act of Respect to their parents so the parents allowed for this marriage. This act was read aloud to the present and signed by us, civil registar, the other persons mentioned in this act are illiterate. priest Hipolit Charmałowicz, Civil Registrar. 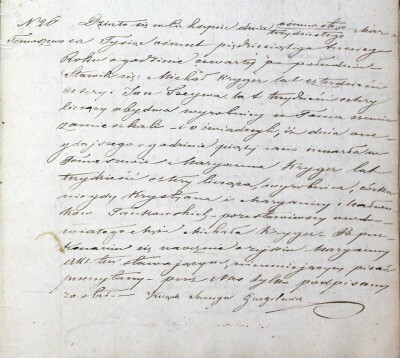 Thank you for the translation and insight into the Gryszkiewicz marriage. That makes sense about the four categories based on demographics. I was thinking it may have something to do with Parish clusters, such as four different clusters of villages that make up that Parish collective. Your idea makes more sense. Also thanks for taking the time to look up the village on the map. I appreciate it. Thanks. I would appreciate a translation of this death record of Maryanna Kryger. 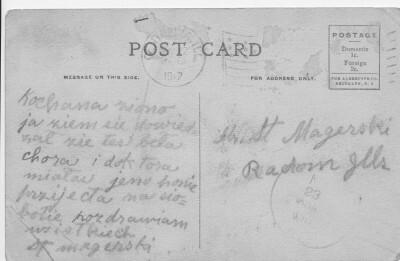 Could someone please help me with the translation of this old postcard? Having a bit of confusion with dates matching up. 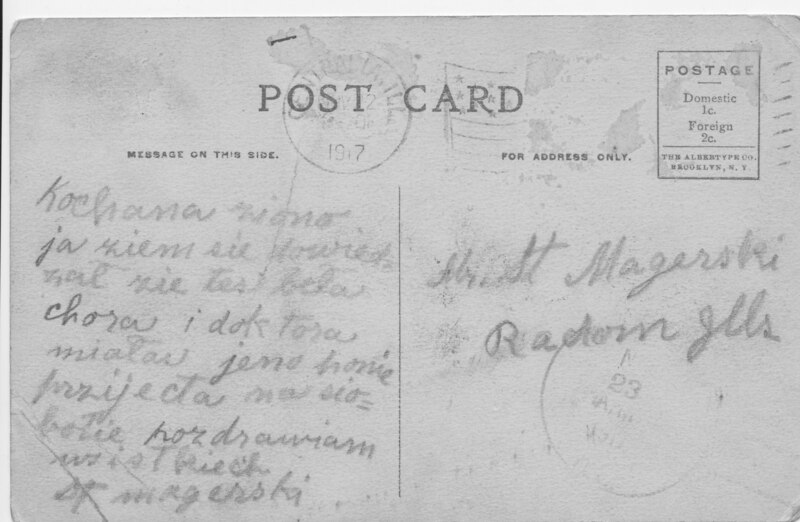 Could someone translate the death record 1924 of my Great Grandfather, Wawrzyniec Pietraszek. Thinking that his birthdate, and place in this record could help me confirm the right person. It happened in the city bychawa on the 20th day of october 1924 at 10 a.m. Appeared Michał Klimek and Wojciech Skoczylas, both of age,fornals (hired farm workers using horses for work) from łęczyca and they informed that yesterday at 3 a.m. died in Łęczyca Wawrzyniec Pietraszek, 82 years old, resident of Zakrzówek commune, born in Zakrzówek, son of Franciszek and Agnieszka nee Paciorek, spouses Pietraszek. He left his widowed wife Zofia nee Bystryk. After eye belief about Wawrzyniec Pietraszek this act was read aloud to the witnesses and signed by Us. Could you please translate these two attached records for Jozefa, one birth and the other death record. 279. It came to pass on the thirteenth day of December in the year of nineteen forty-three, at the hour of seventeen, in Lublin. 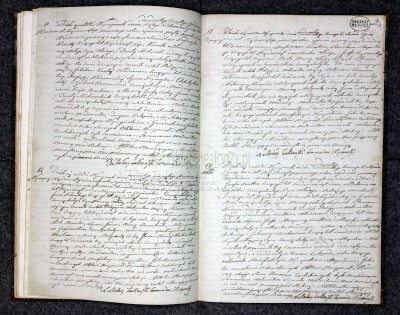 Appeared personally Stanislaw Lukasik and Mieczyslaw Bielinski, both of them being labourers of full age residing in Lublin, and jointly testified that Jozefa Lukasik nee Pietraszek, a domestic worker, seventy-three years of age, born in Sulow within Janow Lubelski County and residing in Lublin, the daughter of the Pietraszeks, namely the married couple Wawrzyniec and Agnieszka, had deceased the day before, at the hour of six, in Lublin, leaving behind her her widowed husband Jozef. After the death of Jozefa Lukasik was ascertained, the present certificate was read aloud to the appearers and subsequently signed by myself and them.